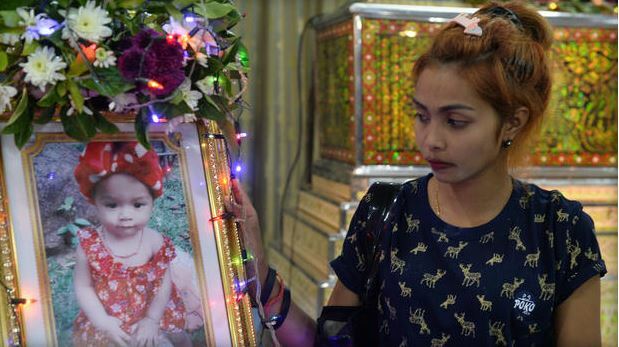 BANGKOK (CBS) A man in Thailand upset with his wife hanged their 11-month-old daughter on Facebook Live and then killed himself, police said Tuesday. The incident came less than two weeks after a man in Cleveland, Ohio, in the United States shot a man to death and uploaded video of the shooting to Facebook. A series of other offensive broadcasts, including sexual assaults, has caused Facebook to seek ways to block such videos as quickly as possible. The chief investigator in the Phuket case, Lt. Jula-at Suwannin, said police have yet to question Jiranuch Trirat, Wuttisan’s 20-year-old widow, because they are giving her time to grieve.